Talking everything, from his debut EDC Las Vegas performance to musical influences old and new with one of India's finest musical talents - Nucleya! 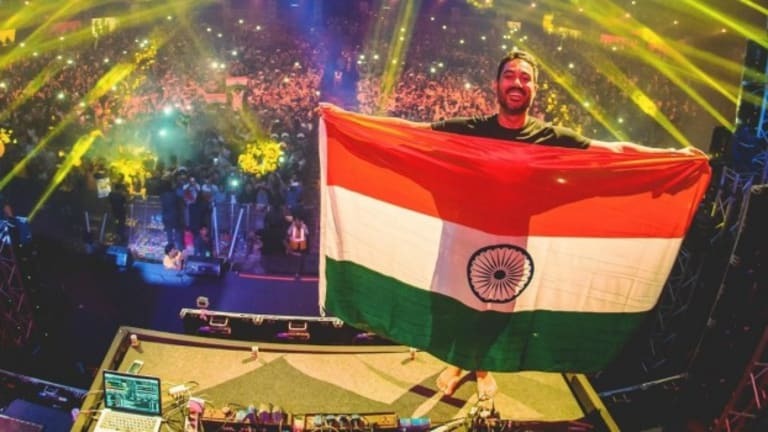 NUCLEYA, for the inundated, is the undisputed king of Bass music and a pioneer of the Indian electronic music scene in almost every sense. His signature sound of blending Indian influences with power packed electronic sounds made him an almost instant hit after the release of his debut Koocha Monster EP in 2013. His sounds have always hit home and have been extremely relatable and catchy to say the least. Udyan Sagar a.k.a. NUCLEYA has a romance with music that goes a lot further back though, with his first moniker Bandish Projekt back in 1998! 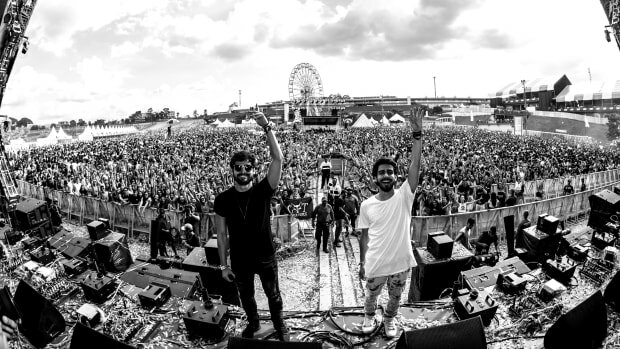 With the explosion of the dance music scene in India as of the last few years, in addition to it becoming a key stop on the International touring circuit, the country is brimming over with explosive homegrown talent! One of the early pioneers in the scene, NUCLEYA is hands down one of the most experimental and engaging producers in the Indian scene recently. 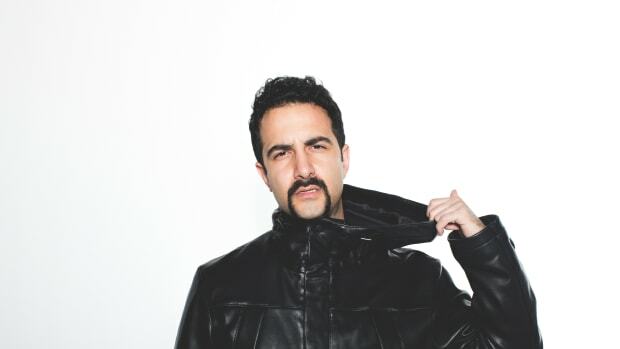 Taking his unique sounds to the world, he has performed at numerous music festivals around the world including Glastonbury (UK), the Electron Festival (Switzerland), Electric Daisy Carnival (Mexico) and is now all set for an upcoming North American Tour! When the big names from the genre tour India, NUCLEYA has without a doubt been the choice to open for them. 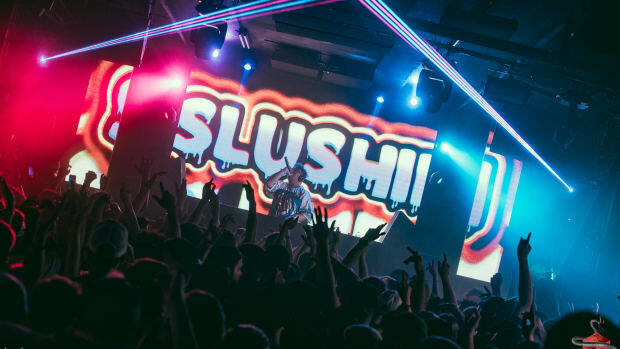 From Major Lazer to Skrillex, and Diplo to Flux Pavilion, he&apos;s opened for them all when they toured India and has garnered immense praise too. The best way to define his music would be Indian inspired at heart, but most definitely international in appeal. 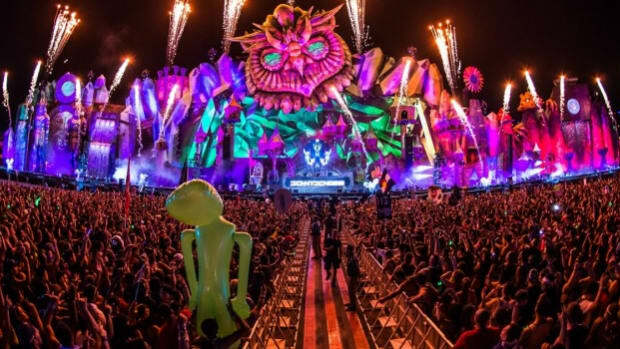 We had a chance to speak to the man himself hot on the heels of his debut EDC Las Vegas performance this month and here&apos;s what he had to say. EDM.com - How difficult was it transitioning from Bandish Projekt to Nucleya? Considering it came after 10 years of creating music as Bandish Project? It was extremely difficult. My whole world had come to a standstill. There were no gigs to play and consequently no money coming in. I had to start out all over again, get in touch with everybody that I knew in the business, try and see if I could find any kind of work. Things were so bad that I actually considered giving up music. This is when my wife Smriti told me that she would go out and work while I stayed home and figured my life out. This went on for a while till I finally managed to get myself back into the circuit and eventually a manager that would help me get more work. From starting off as playing Organizer-Promoter-DJ, pretty much doing it all at farmhouse gigs in Ahmedabad in the early 2000’s to now playing to audiences of thousands all over the country and internationally, you’ve really gained momentum. If you had to describe the feeling in ONE word, what would it be? After the Koocha Monster EP in 2013, there was pretty much no looking back! Tell us about the journey leading up to it and how you found THE bass heavy, Indian-inspired sound of Nucleya. Tell us a little about how Nucleya ‘happened’! Around 2008, I moved out of Bandish Projekt and started my solo project NUCLEYA. For many years, I was experimenting with multiple genres and I tried almost everything but nothing was working out. Somewhere in the middle of all of this I started sampling Indian street sounds in my music and I loved what I could do with it. This is when I knew I had found my sound and it inspired me to write my debut EP Koocha Monster. Smriti is a graphic designer and she designed the EP artwork. The record was released as a free download through band camp and we supported it with a multi-city club tour. Post this, my manager sent me on a tour to some of the biggest universities around the country and that’s where the real conversions happened. Kids from all over the country were now talking about this cool new sound that they had heard. Somewhere in the middle of all of this I started sampling Indian street sounds in my music and I loved what I could do with it. This is when I knew I had found my sound and it inspired me to write my debut EP Koocha Monster. What were your early musical influences? Who were the artists you’d say played a major part in your move to claim the top spot in the Indian dance music scene? I grew up listening to a lot of Bollywood film music from the late 70’s and 80’s. During my Bandish Projekt days, one artist that really influenced me was Nitin Sawhney. Also, Nucleya definitely is an interesting moniker. From what we hear, it happened to be your email password back in the day and then just kind of caught on for you. Is that true? Hahaha yes that is true. You sample some of the quirkiest of sounds from news to dialogues and even nursery rhymes! How did the idea of sampling something like “Akkad Bakkad” come about? Smriti used to sing “Akkad Bakkad” to my son at times and I recorded her voice this one time. I was playing around with the recording when I felt like I could make a song out of it and decided to give it a shot. I’m really fond of these random gimmicks and I somehow found a way to incorporate a lot of them in my songs like “Street Boy” and “Chennai Bass”. “Mumbai Dance” happened because I sent the track to Gagan Mudgal once it was complete and he completely hit a home run with the opening voice over. He’s a genius. You’ve also sampled your son Guri’s voice onto your track “ Aaja”, and tweaked it to sound like perfection! How do you manage to have a work-life balance and find time for your wife and son with all the maddening touring? It’s really hard to keep a healthy balance. Especially because my son is still very young, it gets really hard to leave him and go on tour every weekend. So, few years ago, during the summer of 2014, my managers and I decided that we would do live shows for only 6 months of the year. Rest of the 6 months I set aside to spend time with my wife and son, travel with them, and just do things together as a family. I also take this time off to rejuvenate after a hectic season of back to back shows, and write new music for the upcoming season. 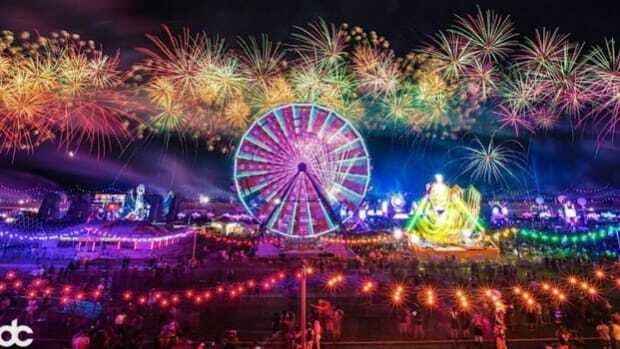 You’re the ONLY Indian artist slated to play at the 21st edition of EDC Las Vegas! After already playing for Insomniac at EDC India and EDC Mexico, how does this feel to be slated to make your debut at the big one now? It’s really overwhelming, to be honest. And very scary at the same time. While EDC India was home turf and my fans were there to support me, Mexico was a completely new audience and obviously, there was uncertainty of how my music will be received. Having said that, I had an absolute blast performing in Mexico and I’m glad that my music was well received. Vegas is very much like a dream come true. I’m really excited for being given this opportunity and I’m looking forward to giving the audience a dose of my music. Vegas is very much like a dream come true. I’m really excited for being given this opportunity and I’m looking forward to giving the audience a dose of my music. 2015 saw you release your album Bass Rani, with a pretty unconventional album launch. We need to know how the idea of an album launch at a Ganesh Visarjan procession came about! I used to always tell my manager that It would be such a riot to perform in the middle of a festival like Ganesh Visarjan. I consider my music to be street music mixed with electronic beats and so we thought, what better way to launch a street music album than on the streets itself. We decided to take up a truck, install a big LED wall on top of it, load it up with a massive sound system and program a lineup of the best Indian Bass music producers. It’s safe to say that it was the most epic gig I have played in my life. Switching it up in 2016, you launched your latest album Raja Baja with a free concert maxing out the capacity of a full-fledged stadium at NSCI, Mumbai. You’ve always been known to make your music extremely accessible. What’s been your thought process behind this? I make music because I love making music, and I love to share it with each and every one of my fans, because they are the reason why I am where I am today. At the same time, my fans pan across every class of society and not every one of them would be able to afford to buy my music. This is the reason why we chose to release every album as a free download. After the overwhelming love and support we received for Bass Rani, I really wanted to do a free show for all of my fans and we worked towards making it happen. So now that the Rani (Queen) and Raja (King) have met, when can we expect that family to grow? Hint hint: Can we expect a new Album in 2017? You’ll have to wait and watch, hahaha. Any advice for upcoming producers out there who have developed their own particular sound which steers away from the mainstream, on how to make it work? Be original and don’t give up. There’s no set formula and you have to find your own way to get your music heard and appreciated. It might take time but the wait is definitely worth it. Last but not the least, you’re thoughts on the future of the booming dance music scene in India and Asian regions. Where do you see it heading? And similarly, how do you see the Indian markets opening up to International talent? 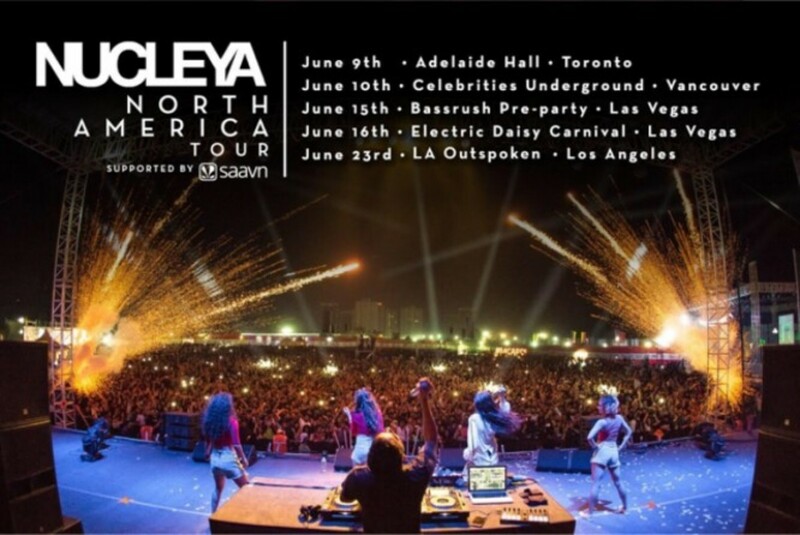 International artists have been coming to India and headlining shows for a long time now. I now see us slowly moving towards having our own Indian headliners. Soon it will not be necessary to have a huge International name on the bill in order to sell large number of tickets because Indian artists will be able to do it themselves. Indian dance music will have grown when International markets open their doors to Indian artists. Soon it will not be necessary to have a huge International name on the bill in order to sell large number of tickets because Indian artists will be able to do it themselves. Indian dance music will have grown when International markets open their doors to Indian artists. 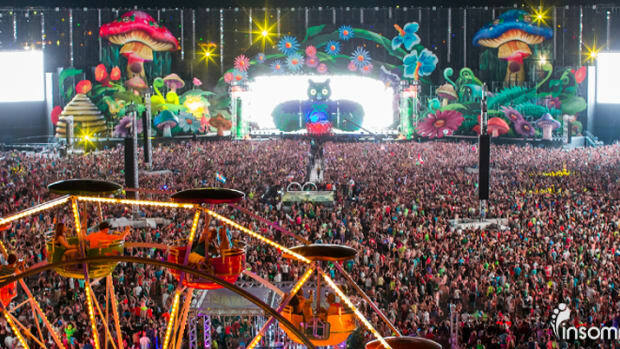 XenXen and XCycle Are All Set to Get you Hyped And Ready for Electric Daisy Carnival, Las Vegas. Complimentary yoga classes for all festival attendees on the EDC Vegas festival grounds? How about that! 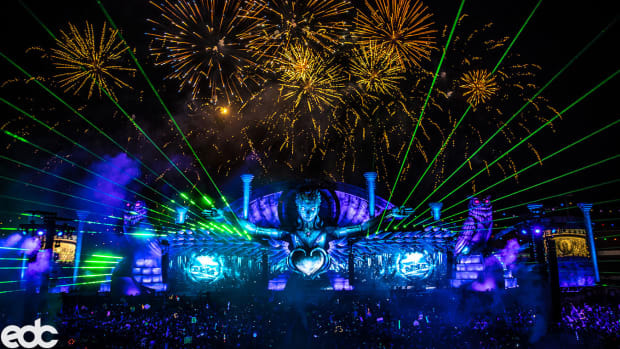 Finalists will receive VIP passes to EDC Las Vegas, and the grand prize is a VIP trip to EDC Orlando! 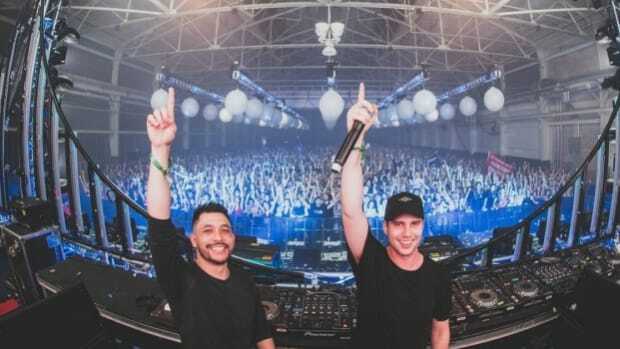 With their latest release "Keep On Lovin" out now on Sony Music, this duo is showing no signs of slowing down and are only getting started!